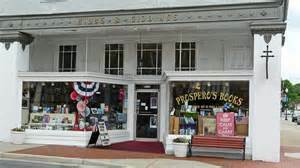 I sat down last week with Erika Walser, twenty-four-year-old local resident who became the manager of Prospero’s Books on Center Street in Manassas last month. And it didn’t take long to realize that she is a woman on a mission. “Books are my life. It’s as simple as that,” she stated as mid-morning traffic passed by outside twenty feet away outside the store. She credited her family and her college experience for her love of books and reading. “I had an amazing professor at NOVA,” she smiled, “who really put me on to history.” She then transferred to Virginia Tech and found not all the education took place in the classroom. Walser worked at the bookstore starting as a fifteen-year-old in 2006, at the end of her freshman year. She was also an associate at Old Navy starting in 2009, and served as a nanny the same year. When I asked what she liked most about working at Prospero’s, she said, “The people. The people and their stories.” Regulars come in daily, and she remembers their names and their background. “Many of them are talkative older men,” she remembered, smiling at me, a talkative older man. She continued to greet customers warmly while we talked, with the signature personal touch of the store. She knows book preferences of regulars and all about their families. “I want to help people learn through books and give them a fair price for the books they buy and also the ones they sell to us.” If books are not suitable for sale, she donates them to area churches. Another customer came in and Erika Walser, a woman on a mission, walked out from behind the checkout counter to greet another customer and find out more about her story. Having a car entails a lot of expense and time. 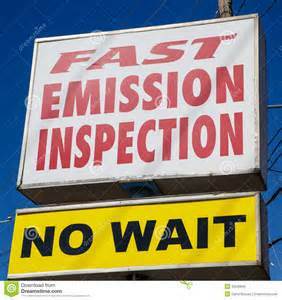 I found out again about the time this past Friday when we discovered that we needed an emissions inspection for Becky’s car. I couldn’t do it Friday, but I figured I would get up early Saturday and have it done in half an hour. First of all, there was one inspector, so my anticipated wait time increased to three hours twenty minutes. The cost/benefit ratio was sliding toward the unfavorable side, but I stayed on. I’d have it done and not have to worry about it, right? Whoever I talked to hadn’t been watching the inspection line, because each inspection took more like half an hour. One lady’s car was in the bay for 45 minutes. My wait time increased as I watched. By 10:30 I was number five in line, with a wait time of two and a half to three and three-quarters hours. At worst, I would be done by 2:15 and would have spent much of the day in line. I called Becky, and she sensibly said to give it up and come home, which I did. I found out the station was open the next day, Sunday, and figured the line would be shorter. I drove over after church the next day about 12:15, and my spirits rose when I thought I saw three cars in line. I thought I’d be done in an hour and a half. Driving up, I couldn’t see the line of cars that snaked around the perimeter. There must have been twenty of them, and I didn’t even want to calculate how long they would have to wait. However long it was, they’d be there past the closing time of 2 PM, and I wondered if the inspector would accommodate anyone in line or send them home. I didn’t want to wait around to find out, so I resolved to come over early the next morning, risking driving the mile and a half on expired tags. I had heard that if the police stopped you, all you had to do was explain that you were going to have the inspection done and they would let you go on your merry way. I thought thought there wouldn’t be much of a line, but I’d thought that before. There couldn’t be that many lawbreakers, could there? I came upon the station. There was one car in line, and although the inspector was 15 minutes late, I was done by 8:30 and on my way home. What did I learn from this experience? First, have the cars inspected early and often. Second, never underestimate the ability of people to procrastinate. Third, I’m a terrible judge of human behavior. And fourth, if you think you’re going to be a while, take something to amuse yourself with. Or, failing that, take a pillow and have a nice nap. You’re going to be there for a while, so you might as well be comfortable. And good luck.